That said, one cannot truly explore horizons of life without a dream larger than that horizon itself. I’d always been a huge fan of James Douglas Morrison, and when I started following him, listening to his songs, and read the book by the same title as this blog, I had never imagined, I’d have the opportunity to explore what is possibly the mecca for all the fans of , ‘The Legend,’ Jim Morrison! For most travellers and tourists, Paris has it’s own charm and yes the Eiffel tower adds to a semblance of nostalgia and the rest of the city carries a feeling of being remarkable in it’s own way. It certainly is an epitome of historical greatness and has a fine taste for food, fashion, flawless culture and a desire towards perfection of it’s own kind. No wonder it’s the most sought after destination by traveler’s across the world! Yes it is, especially if you can visit a place like the Père Lachaise Cemetery, and experience the aura of the souls of the departed, with a sense of purpose that you never had. The destination was definitely on my list and I was saving the best for last, after having explored most of the city, spending more than a few days in Paris, @FeetonTheMap and I decided to explore the artisan life on our final day, by spending some time walking across the streets of Paris, visiting the Shakespeare and Company, reading a few lines, many a quotes, playing the Piano and being in the same location which once upon a time (1920’s) was a gathering place for many then-aspiring young writers such as Ernest Hemingway! The experience of exploring the almost century old bookstore, which still stands as part of modern art, culture and of course a business that has a repertoire that many would consider beyond what even traditional sight-seeing locations in Paris would stand for. The quaint little bookshop was the beginning of a path to explore the greatness that we hoped would help end our trip on a high, a spiritual as well as that of self-discovery having, tread the path of the legends in a way, like never before. While getting to the cemetery isn’t such a big deal, considering the easy access of metro the bigger challenge is to find your way around the cemetery to reach the grave. An ordeal that is truly worth the long walk and the wait, especially if you take the main gate from Gambetta side. Thankfully, I had the presence of mind to take a picture of the cemetery map to navigate grave after grave while we tread the paths of the fall, leaves trailing across our feet, quite literally giving us a feeling of explorers of the dead! Walking round and round, around in circles, walking down steps and trying to find your route section by section, getting to ‘Area 48’ is an enjoyment of it’s own kind for sure. It took us probably a good 30-40 minutes, considering we were enjoying the experience, stopping by a few graves as we passed by. The wait was worth it, for I knew, when we got there, the sense of awe was something I’d cherish forever, not just to think of it as a check or a tick mark in my bucket list, but a lot more than that. And that’s when I had a smile, a smile on my face, cause in my head I could hear the words of his beautiful ballad, “This is the End.” A song that had a sense of severing ties, ones that left him heartbroken after his break up with his girlfriend, Mary Werbelow! 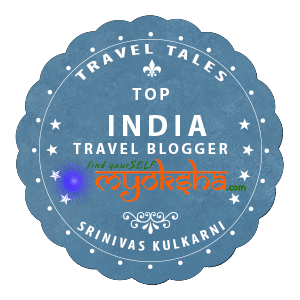 This entry was posted in Travelogues, Stories and Life and tagged Blog, Europe, France, India, Indian Bloggers, James Douglas Morrison, JIm Morrison, Paris, Pere Lachaise Cemetery, The Doors, Travel, Travel Blogger India, World on February 21, 2016 by srinistuff.